Lilac Halter Cocktail Dress with Rhinestone Pin | Sung Boutique L.A.
Lustrous halter satin cocktail dress features same toned beads detailed the sweetheart neckline. 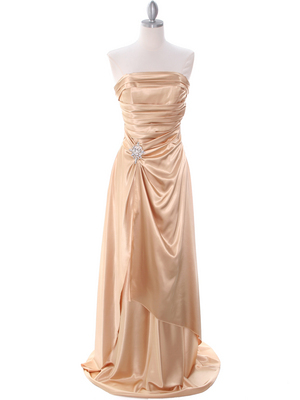 Lovely chiffon wraps the pleated bodice with dazzling rhinestone pin adorns the front. Open back with tie at the back. - Approx. 31.5 inches from underarm to hem.